existing classroom tech. A final meeting with the Superintendent completes the onsite visit (typically 2 days). recommendations, medium to long range recommendations, and an executive tier of suggestions and strategies). Teams are staffed based on whichever platform the host district prefers. reflect the innovation, solutions and tools that a district seeks. 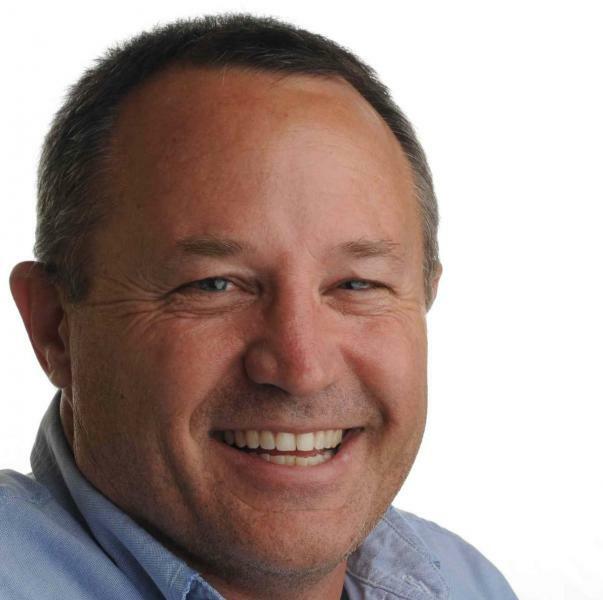 or Jon Corippo (jcorippo@CUE.org) will be happy to discuss any JET Review questions you may have. What is the Future Ready Framework? When high quality teaching is infused with the dynamic use of technology, personalized student learning becomes possible. According to the U.S. Department of Education, the Future Ready District Pledge is designed to set out a roadmap to achieve that success and to commit districts to move as quickly as possible towards a shared vision of preparing students for success in college, career, and citizenship. This roadmap can only be accomplished through a systemic approach to change, as outlined in the Future Ready Framework. 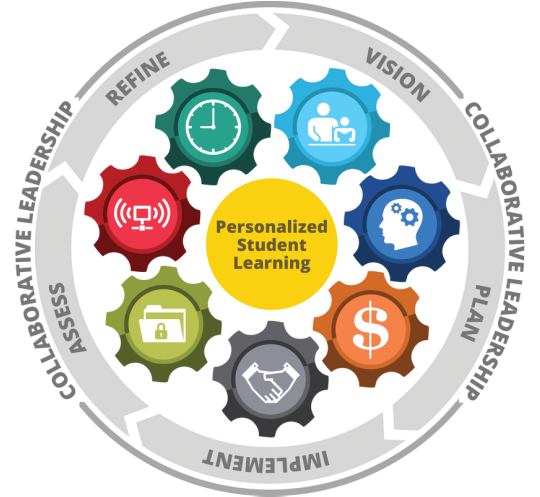 With personalized student learning at the center, a district must align each of the seven (7) key categories, or Gears, in order to ensure a successful digital conversion. The US Department of Education has completed a full research synthesis, entitled "Characteristics of Future Ready Leadership", which supports the various Gears of the Future Ready Framework. Information for each Gear, as well as aligned resources are available on the left hand menu of this page. Definitions for all Gears and Elements as well as a glossary of terms can be downloaded here. What are the ISTE Essential Conditions? 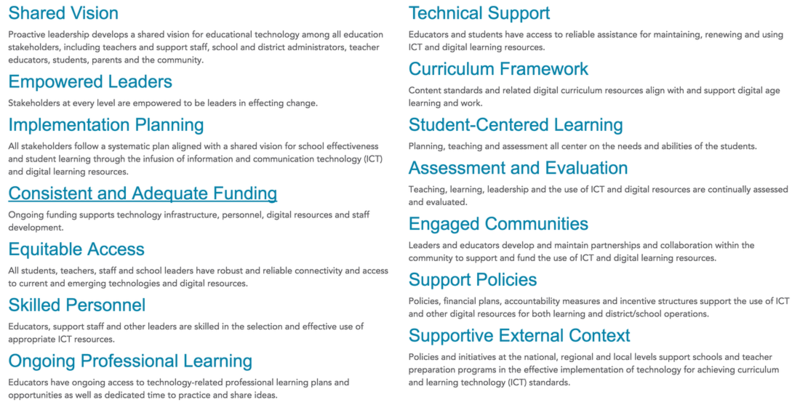 The ISTE Essential Conditions are the 14 critical elements necessary to effectively leverage technology for learning. They offer educators and school leaders a research-backed framework to guide implementation of the ISTE Standards, tech planning and systemwide change. For a deeper look into your school or district’s strengths and weaknesses, use the Lead & Transform Diagnostic Tool to generate a free custom report that will help guide your tech integration planning based on the Essential Conditions.